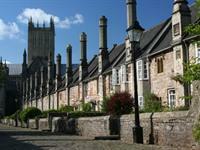 Another quaint Somerset town that has been unspoilt by time. Castle Cary is our nearest town. The houses are typified by their warm honey coloured stone and predominantly Georgian architecture. The High Street is full of independent shops and boutiques and also houses a number of excellent bars and restaurants. A picturesque market town with a pedestrianised High Street that is one of the nicest you will find anywhere in the country and perfect for shopping or just admiring the beautiful unspoilt historical buildings. Much of the old town including the Abbey are built from the distinctive orcre-coloured Ham stone. 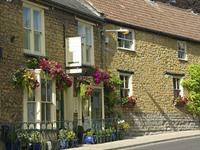 Why not tie it in with a visit to Corton Denham and stop for a visit at our favourite pub the Queens Arms. 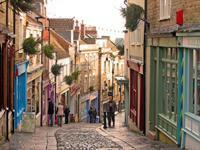 Frome has undergone a huge resurgence in recent years and is positively vibrant. It has the most wonderful collection of independent one-off shops you will find anywhere in the country. Wander along Catherine Hill and you are almost swept back in time by the setting. It makes you question why all our traditional high streets have disappeared. Add in numerous local fesitvals and events that the town regularly hosts and you will quickly understand why we love Frome! 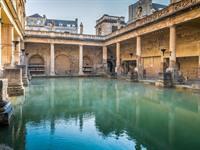 Bath offers a unique experience with stunning architecture, great shopping and iconic attractions. Famous for its hot springs, the city was first established as a spa in Roman times and retains some fascinating Roman ruins. Set along the banks of the river Avon the elegant Georgian streets are a joy to wander through.The city has variety of theatres, museums and other cultural and sporting venues to keep you busy for days.